Managing pain on a daily basis is a full-time task in and of itself. It creates obstacles to navigate, making it through just one day is exhausting and without reprieve. If you’ve tried every avenue trying to manage your pain including pharmaceuticals, chiropractic care may be a new advantageous route for you to explore. When dealing with chronic pain you often face health practitioners that question your pain or flat out don’t believe you. 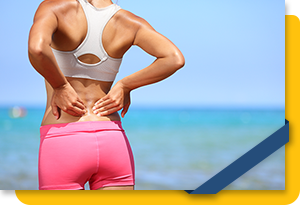 At Major Chiropractic, we’re here to advocate for you and find the best solution for you to manage your chronic pain. Follow along in today’s post as we examine chiropractic care for chronic pain relief. Pain is classified in two ways, acute and chronic. Chronic pain is nagging pain that persists for over an extended time (typically three months) and doesn’t respond to common pain treatment or management techniques. Because chronic pain is so prevalent in the US — one in four Americans have reported it — it places it as the number one reason for long-term disability. If you’re looking for a solution, you can find it in chiropractic care. 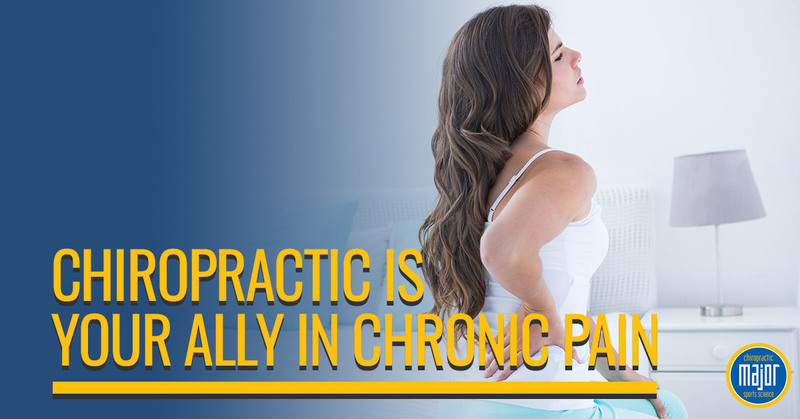 Chiropractors have seen great success in treating chronic pain. Chronic pain is widely misunderstood and identifying a cause is even harder to distinguish. Some chronic pain is caused from an old injury or from a disease, and other pain is a result of lifestyle choices including inactivity and poor eating habits. The great news for people living with chronic pain, care and pain-management options are available. Interventions such as chiropractic care and lifestyle changes can greatly increase a patient’s quality of life. Chiropractic care is highly advantageous to your pain-management care plan! Chiropractors work with patients and the structures of the body — particularly the spine and nervous system. While a majority of their care is body manipulation, they are also great resources for manual therapies, nutrition, exercise and posture education, and ergonomics. Before you go to the chiropractor, gather all the information on your issues — from what you’ve taken to different methods you’ve tried — the wider scope the chiropractor has the better diagnosis they can make. The chiropractor will then do their own assessment and develop a pain management plan tailored to you. Chiropractic uses non-surgical and pharmaceutical-free methods in pain relief in a series of body manipulations to address the patient’s symptoms such as muscle tension and inflammation. Chiropractic treats a myriad of conditions including chronic pain. If you’re ready to try chiropractic care for pain management, schedule with Major Chiropractic today!